More than “Here Comes the Bride” – One Single Purpose…. Almost anyone who has been to a wedding is familiar with the “The Wedding March”. It’s saved for the most important part of the processional. All attendants are standing at the front of the church, the organ sounds with the familiar notes, the doors of the sanctuary are flung open and the bride walks down aisle to her waiting groom! 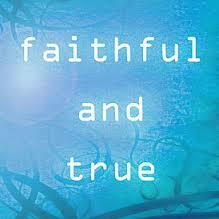 “Faithful and true, We lead ye forth. Where love triumphant, Shall crown ye with joy. Star of renown, Flower of the earth. Blessed be ye both, Far from all life’s annoy. Champion victorious, Go thou before! Tender delight for you now awaken. Isn’t it romantic and tender? Even regal? As I found myself humming it though the day it occurred to me how these lyrics could represent our love story with God. What if, instead of a wedding, it represented our relationship with Him and the promises He gives us? What if instead of being sung to a bride and groom, it was being sung to the beloved of God? Earth’s noisy revel, thee have forsaken. So, what do you think? It’s still romantic and tender, but now it’s coming from the One who created Love. May you look for Him today and find Him in work, in song, in sorrow and joy. And know, He’s always here. Love this, my sister! I had goosebumps (or Holy Ghost bumps!) as I read of His overwhelming love for us! Wow!! Amazing !! I will never hear that song again without thinking of Him! !